Our 6-day package is a unique holiday experience to fully embrace the gastronomy of Cyprus while staying in two peaceful guest houses, Aperanti Agrotourism and Spitiko Tou Archonta. 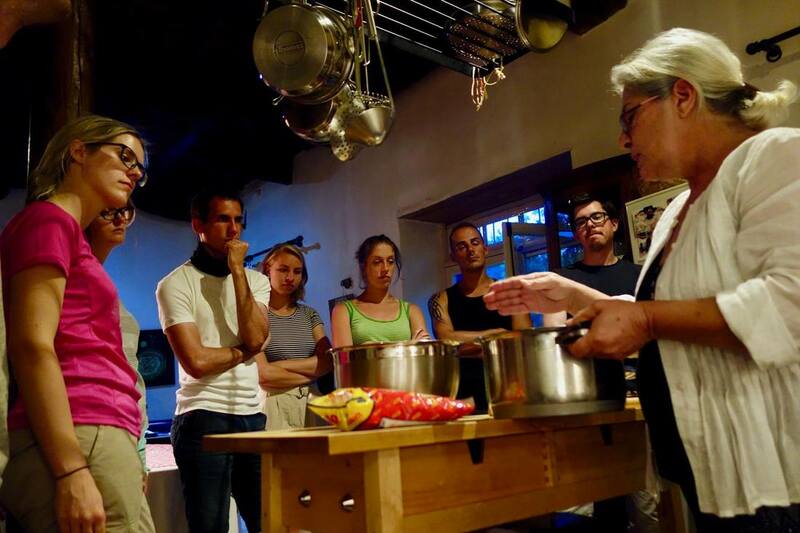 This will give you the chance to visit two beautiful locations in Cyprus (the Pera Oreinis countryside and the Southern Troodos mountains) and to discover regional recipes, local products and village traditions. hands-on cooking classes with organic/local ingredients, traditional halloumi cheese making, baking home-made bread, foraging for wild edibles, harvesting and preserving local fruit, wine tasting at one of the best Cyprus wineries and seasonal activities (olive collection & visit at the local mill, harvesting roses for rose water etc.). You will also visit Riverland Dairy Biofarm and Parhelia farm and learn about organic and sustainable methods to raise livestock and to cultivate vegetables. 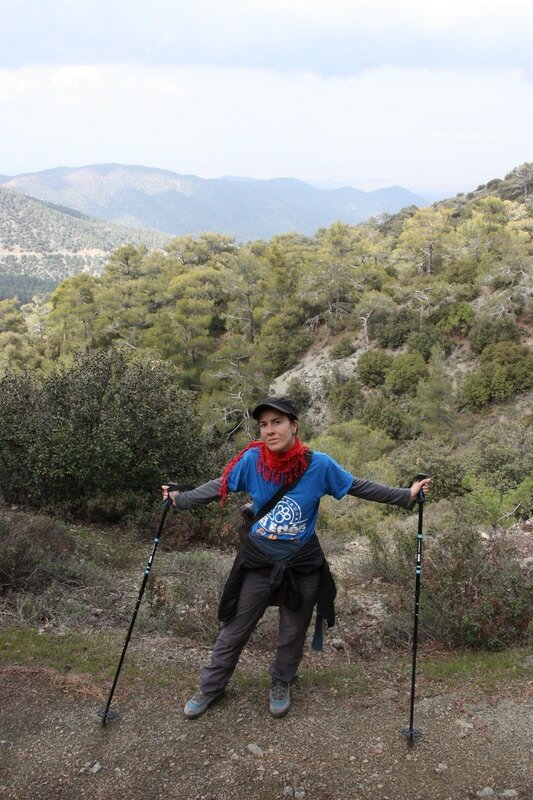 You may also discover the surrounding mountains by taking an optional guided nature walk or a self-guided walk on some of the best trails in Cyprus. Duration: 6 nights (accommodation: 3 nights at Aperanti & 3 nights at Spitiko tou Archonta). Included in the price : 6 night accommodation with breakfast, welcoming drink & cake, 2 dinners at Aperanti, 2 dinners at Spitiko, 2 dinners in local taverns, 1 lunch at Aperanti, 1 lunch & 1 packed lunch at Spitiko, 1 halloumi making workshop, 3 cooking classes plus recipes, visit of the Agios Irakleidios Monastery, visit of the Riverland Biofarm & Parhelia farm, visit to our fields with seasonal agricultural activities, visit of Limassol wine region & wine tasting, transport to the above-mentioned places. Not included in the price: Flights, Insurance, drinks (unless stated), lunch on day 1, 3 & 4, optional activities, transport from/to the airport and transport to the second accommodation. TRANSPORT TO/FROM THE AIRPORT & TRANSPORT TO THE SECOND ACCOMMODATION can be arranged on request. Please contact us for details and prices. PACKED LUNCH can be arranged on request at an additional cost (day 1, 3, 4). NON-PARTICIPATING PARTNERS (who wish to stay at our accommodation but not participating in all/some of the activities) may come along. Contact us for a price. - Dinner: ​Enjoy the traditional Cypriot meze in a local tavern. 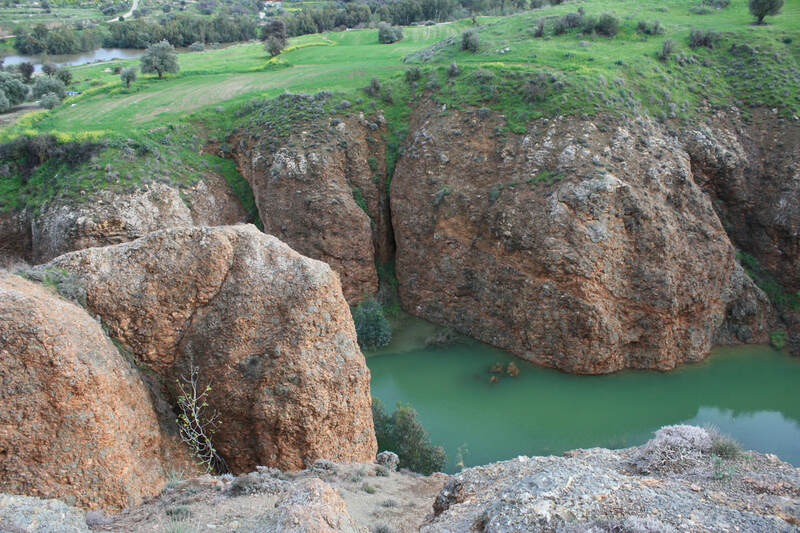 - Morning to early afternoon: after breakfast, enjoy a morning at your leisure (suggestions: self-visit of the capital Nicosia or self-guided visit/trekking in the Machairas mountains). 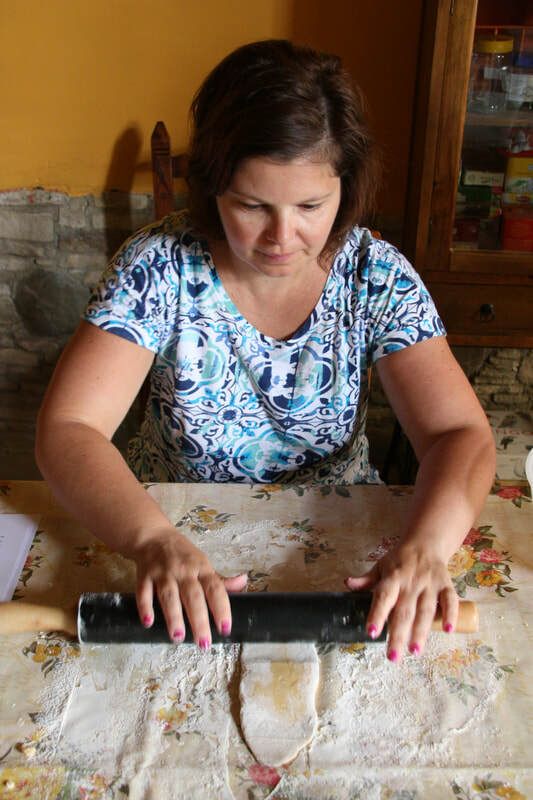 ​- Optional cooking lesson 2: Learn about Cypriot bread & pastry making. Discover how to make the traditional Cypriot bread using natural yeast & how to prepare Cypriot olive pies & cheese pies. 15 euros per person for 2 people, 12 euros per person for 3-6 people. - Olive collection and visit of the olive mill to produce our own olive oil (November, December). 15 euros per person for 2 people, 12 euros per person for 3-6 people. (includes a 200 ml bottle of freshly made olive oil and a light pic-nic in our field). - Late afternoon: hands on cooking class. 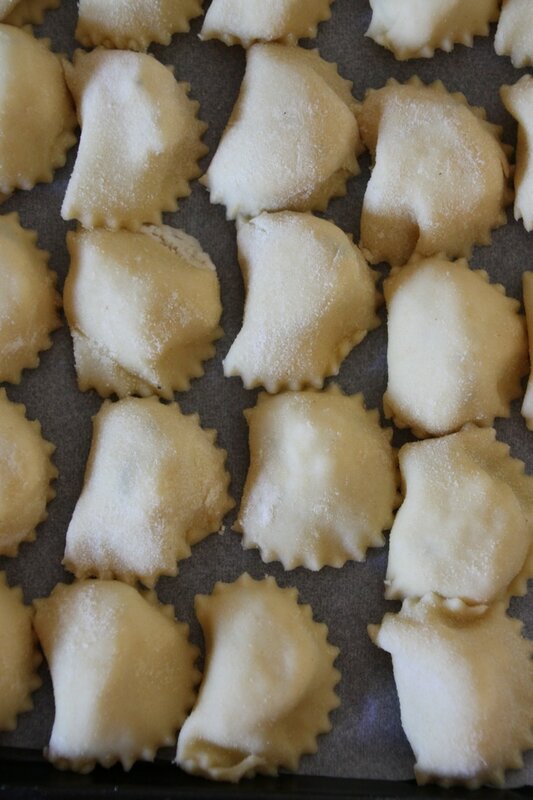 Learn how to prepare a traditional Cypriot dish (such as home-made ravioli or stuffed vine leaves "koupepia"). - Morning: after breakfast at Aperanti & goodbyes, depart for your next destination, the peaceful village of Treis Elies in the Troodos mountains. - Late morning/early afternoon: Arrive at the accommodation of Spitiko Tou Archonta and meet your hosts. 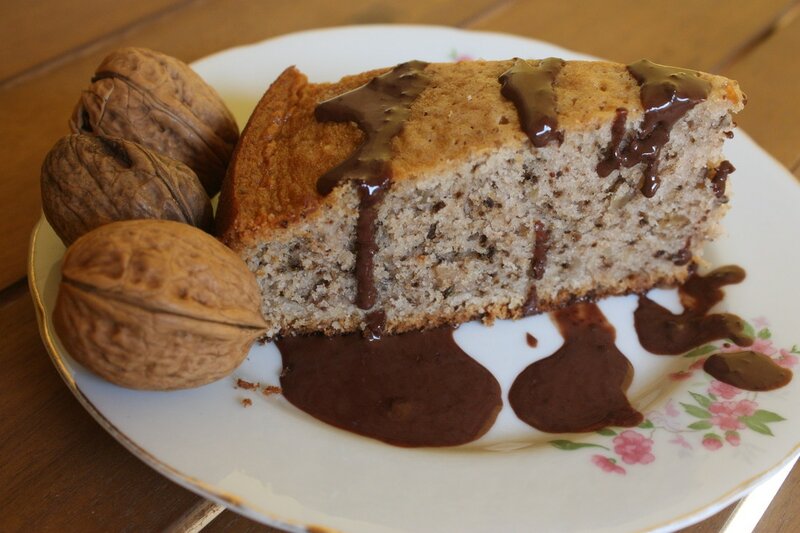 Enjoy a local coffee and home-made snack, while you get a first introduction to the village. -Dinner: light vegetarian Meze dinner, prepared by Androula, and an introduction to Cyprus flavours. Meze is an essential part of the Cyprus eating experience. Lots of small dishes arrive to the table, and are enjoyed over good conversation and some wine or ouzo. - Morning: after breakfast, visit the Parhelia farm and learn about their ecological practices. 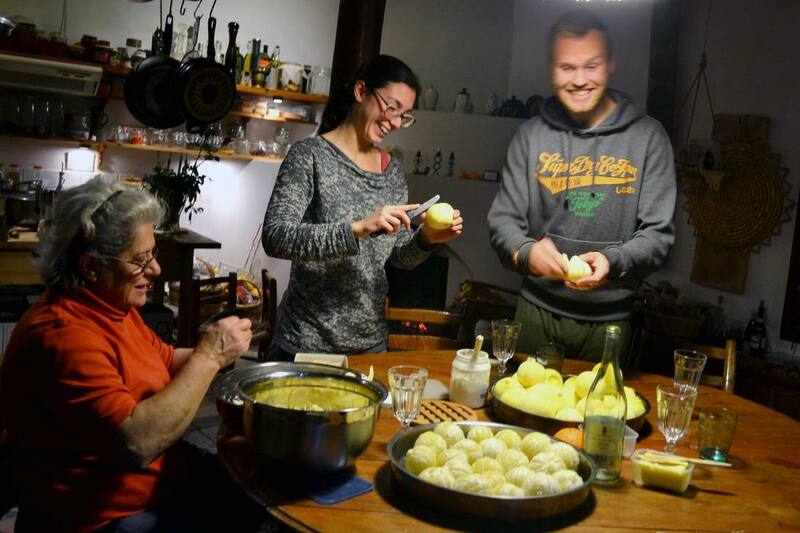 Activities available based on season may include harvesting vegetables or herbs, identifying and harvesting wild greens, collecting olives for pressing into olive oil, collecting eggs, harvesting roses for rose water etc. -Lunch: preparation/lesson of a light lunch with Maria, using fresh ingredients and turning them into a delicious lunch to be enjoyed together. Traditional with modern adaptations. -Afternoon: ​visit to scenic Limassol wine region. Wine tasting at one of the best wineries in Cyprus, and a relaxed afternoon spent in Omodos, a historic village with a unique bread-making tradition. Sampling of breads and other regional specialties. -Dinner: traditional Meze dinner in Vasa Koilaniou or Omodos. ​-Morning/early afternoon: after breakfast, enjoy a self-guided trekking on a nearby nature trail. There are three nature trails which are within walking distance and two that are within short driving distance. Picnic lunch box will be provided. ​- Guided walk on Treis Elies nature trail with overview of history and local ecosystem, approximately 2 hours. 20 euros p/p for 2 people , 15 euros p/p for 3-6 people. - Late afternoon: ​cooking lesson with Androula: learn how to prepare 1-2 traditional Cypriot dishes, like gemista (stuffed vegetables) or kolokasi (a unique Cypriot dish). - Dinner: Dinner with all the dishes we have prepared in the afternoon. ​-Morning: After breakfast receive recipe booklet and Cyprus travel tips. Goodbyes & departure. Live the Agrotourism in Cyprus...Enjoy the Cypriot gastronomy at Aperanti & Spitiko !